All "VPS SSD" - vServer Series are virtualized Linux servers with full Admin/Root- access with high performance SSD diskspace. The VPS of the SSD series are virtualized dedicated Linux servers with full root access. They are based on the proven Linux-based OpenVZ virtualization technology and hosted on servers in EUserv's self owned Data Center in Germany. 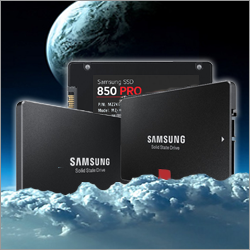 The disk space in the series "SSD" is based with SSD's ("Solid State Drive") in comparison to the conventional VPS series "Basic" or "Pro". This enables a substantially higher I/O performance (read /write operations) and thus considerable speed advantages compared to traditional hard drives. The VPS also offer a standard 200Mbit network connection. All data traffic is included and unmetered so high volumes of data with cost certainty are possible. Overview vServer Series "VPS SSD"